No doubt, Bluestacks is the most widely famed Android emulator for PCs. Recent updates have set a trend in focusing on honing its ability to smoothly emulate Android titles rather than pile on formats to its list of compatibilities. No different in its latest addition, we snagged a lucky pre-launch full version and are here to report on insider details before its official release. 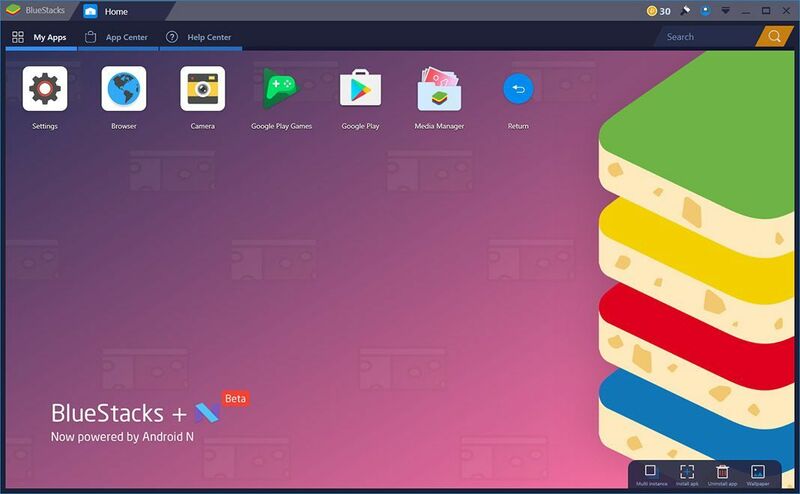 Bluestacks is leader in the race towards Android, with a new beta for version 4.0, the first integrating Android N. Let’s take a look at some of its features with a detailed walk-through. Most Android emulators continue to use Android Kit Kat to operate, a select few (as is the case with MEMU) offer experimental modes that, at most, run Lollipop. Bluestacks is leaps and bounds ahead of the game with the virtualization of Android 7.0 Nougat. What does that mean for you? Better memory management and greater compatibility with the Android catalog, as we’ve seen according to our analyzes below. Take Tiny Pixel Farm as an example. We’re looking at a minute game that was recently published and requires Android 5.0 to run. Well, thus far we’ve only been able to get it to run on PCs via Bluestacks. It’s that simple. Beyond that, its newest interface is practically identical to its predecessor, with an added layer of “pure” emulation in the form of a marketplace with a search engine that redirects to Google Play. Of course, you can always install apps directly through their APK files. With other functions remaining intact, plus a keyboard map with functions for each game, now you can fully bypass the cumbersome task of doing it yourself. You’ll find there’s still ample tweaking space to make adjustments to menus, in terms of both hardware and aesthetics, advertising is still present throughout, obviously, although far from hindering your experience, you can always opt for the paid-for version. The best way to check if all these changes are true is putting them to good use. In that spirit, we’re testing in equal conditions to find out exactly how the newest Bluestacks beta behaves (4.0.1.98) with respect to its previous stable version (3.55.70). Along the way we’ll take a look at resource consumption in comparison with Nox App Player (6.0.2.0), its main rival to beat. 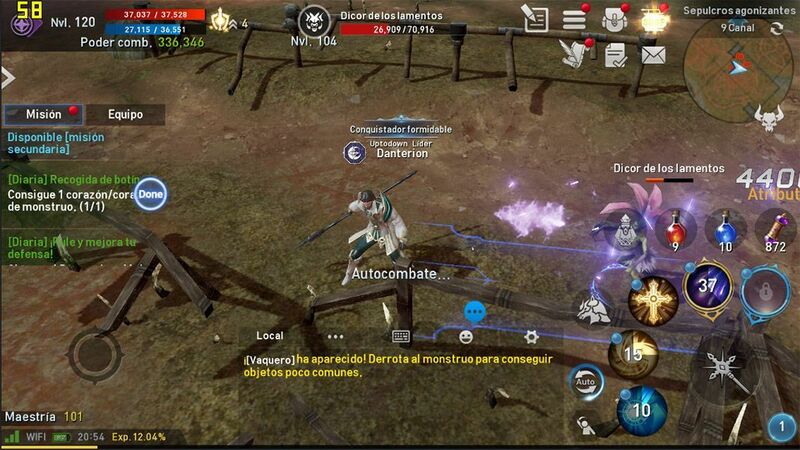 We used several games as a basis for analysis, focusing on one in particular: Lineage 2 Revolution, due to the fact that it’s one of the most popularly played titles through an Android emulator, and particularly due to its nature as a MMORPG. In addition, being a massive online video game that uses the Unreal Engine 4 engine, its software is clearly designed to withstand the use of system resources. Exposed results are carried out in relative terms given the obvious numerical variations hinging on the kind of hardware you’re using. For information to be easily digestible for readers, a resource meter in Windows 10 was used to perform this comparison. In terms of CPU usage, the beta reduces (on average) 8% CPU consumption with respect to Bluestacks 3. That said, it slightly increases memory load by 100MB, which is noticeable in both the game in question as well as in the many others we’ve tried. 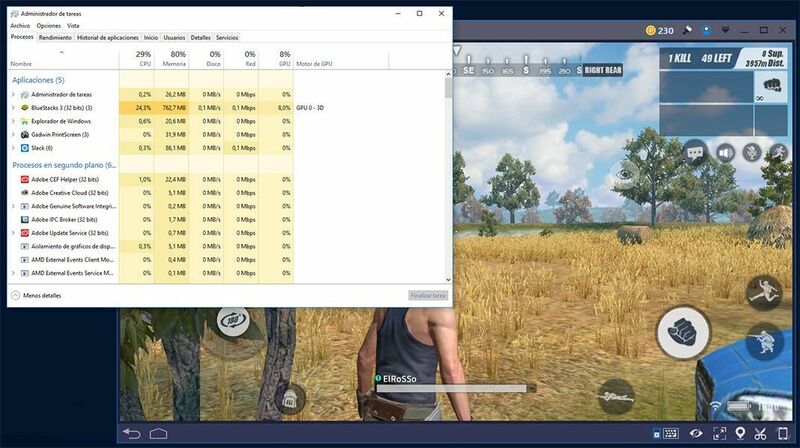 Using OpenGL as a rendering engine, no appreciable changes are noticed in consumption or performance, where Bluestacks is able to maintain a mostly stable 60FPS. Nox, on the other hand, consumes an average of 5% more CPU, in addition to increasing GPU to a 15% load. We discovered one single oddity when testing out the game Rules of Survival. Although in different versions of Bluestacks we were able to analyze it perfectly, we couldn’t do the same for Nox. When trying it out the game spit up a message in the start menu stating that it wasn’t compatible with Android emulators. Oddly enough, with fewer individual restrictions found, we still couldn’t affirm if they are specific agreements with studios or if the emulator is capable of bypassing this detection. In any case, we noticed a slight improvement in frame rates between the beta and the stable client, keeping the numbers even, as seen in previous tests. 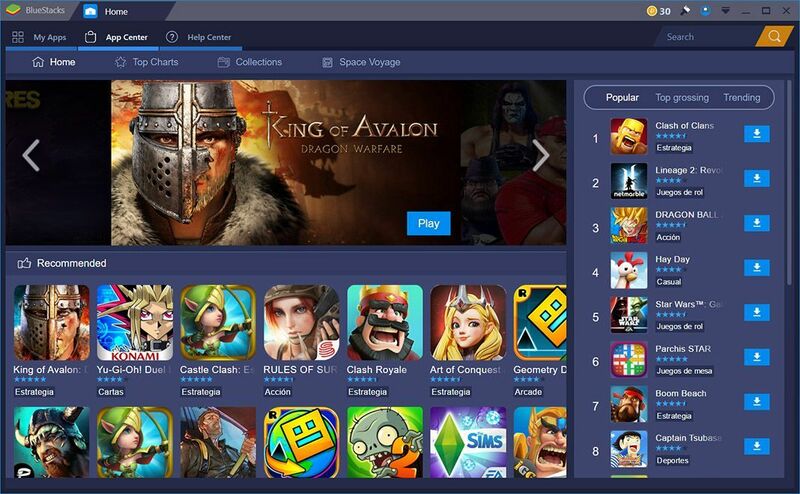 Bluestacks has grown into a business giant since its founding seven years ago. Currently its 130 workers are spread all over the world, with headquarters in Beijing, Delhi, London, Tokyo, Seoul and Ho Chi Minh City. On Uptodown alone it accrued over 14 million downloads and has been, for years, among the ten most downloaded programs from our Windows catalog. The company recently announced in December 2017 that they exceeded 250M accumulated users, an astronomical figure, set only to increase thanks to Android’s booming success worldwide.